Facebook safety check functionality has been added to its Workplace platform for businesses. The social media giant made the announcement at its first conference Flow, which took place earlier this week in Menlo Park, California. The new function is based on the Safety Check app, which is already used by Facebook users in time of crisis, such as terrorist attacks or natural emergencies. 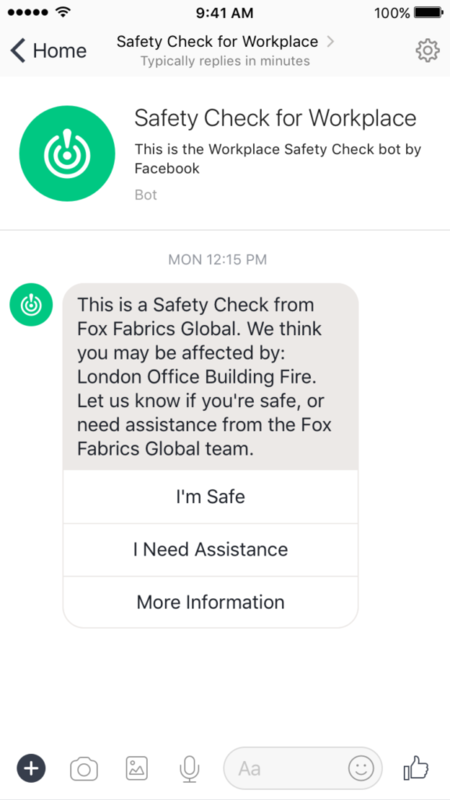 In the event of a crisis, companies on the platform will be able to activate Safety Check and send notifications via Workplace’s chatbot to their workers to confirm who is safe and who needs help. 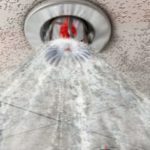 Workers can respond that they are safe or that they need assistance. Notifications can either be sent to certain groups, workers in a particular location or to a list of names on a spreadsheet. The platform also has a real-time dashboard of employee statuses showing the history of attempts to contact someone and company admins will also have the ability to view the employee’s contact details, alongside information on their immediate manager and teammates. The Safety Check system is already being tested by Delta Airlines, with other safety systems already in place in other environments. Facebook’s Workplace platform was launched in October 2016 and is now used by more than 30,000 organisations, who use the platform to share information and brain storm. “With Safety Check for Workplace, we enable companies to spread awareness about a crisis as it unfolds. 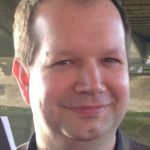 We quickly connect the people who need help with the people who can provide help at your company,” said Product Manager, Safety Check for Workplace, Christian Gallai. 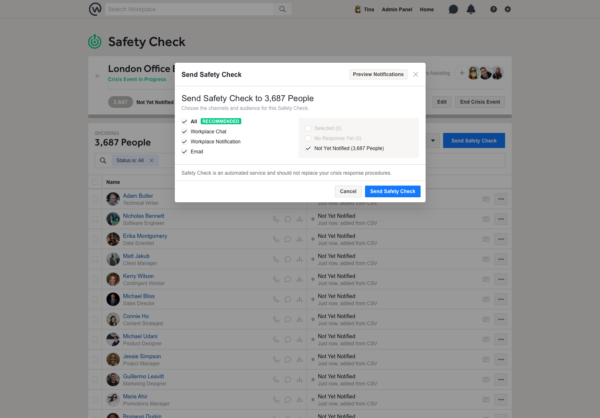 Facebook Safety Check launched for workers Facebook Safety Check functionality has been added to its Workplace platform for businesses.